Bower Design & Construction creates breathtaking home remodels in SE Wisconsin. 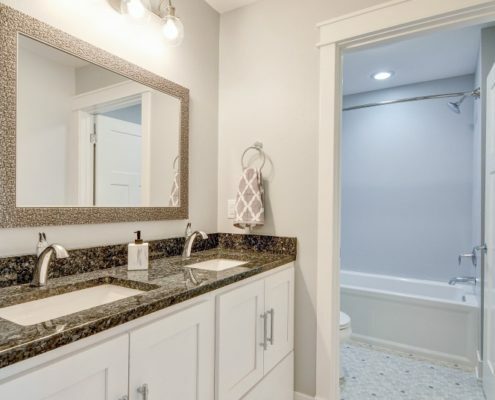 Our bathroom remodels are no exception. Let our builders transform your bathroom into a new space you can be proud of. Check out some of the current bathroom remodeling trends for inspiration. If your home doesn’t have enough bathrooms, it can make everyday life more difficult. It can even be more difficult to sell your home if there is only one bathroom. 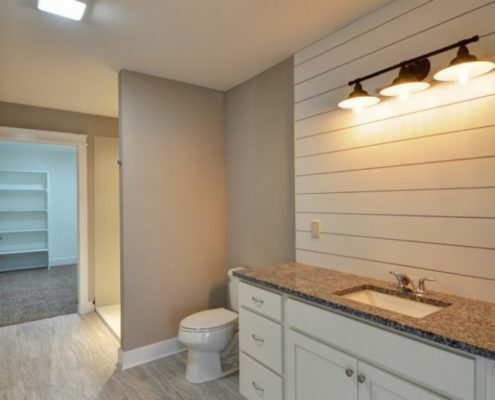 Bower Design & Construction will help you figure out an optimal place to add a new bathroom, whether it’s in your basement, a finished attic, or finding space on a main level of the house. Your master bedroom could be transformed into a master suite – given there’s enough space. Our sister company, Rainbow International, provides dependable mold removal and restoration services for homes throughout Southeastern Wisconsin. Bathrooms are especially susceptible to mold growth – if you suspect mold is growing, get in touch with the professionals as soon as possible. The longer mold stays around, the more damage is done, and the more money it will cost you to repair. We will also help renovate your bathroom after flooding or a fire, bringing it back to its former glory. 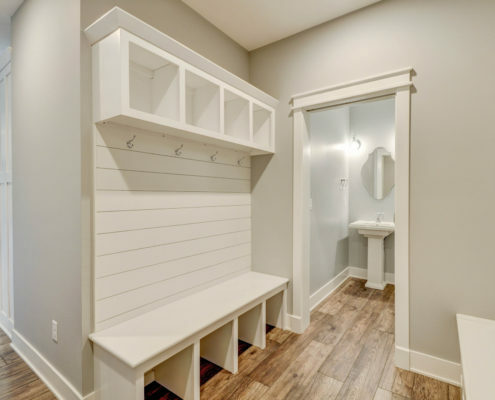 Contact Bower Design & Construction for a quote on bathroom remodeling or additions, today.